At SnowHouse Solutions, we aim to provide our customers with innovating and ground-breaking products that improve the world in which we live. Thanks to our innovative and market leader partners! cyberTECHNOLOGIES is dedicated to providing our clients with industry leading high-resolution, non-contact 3D measurement systems. Our advanced systems are widely utilized for industrial and scientific applications. The high resolution optical sensor, either laser-based or with a white and infared light source, together with the specifically designed highly precise x/y scanning stage and sophisticated software, are the core of the system and prodce reliable and dependable results. 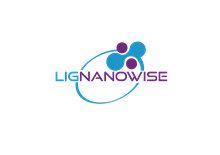 LIG Nanowise has opened up a new frontier in Microscopy – the world’s most powerful objective lens – 400x. It was founded in 2014 by a leading team of scientists in Manchester, UK. LIG Nanowise apply microspheres as a platform technology to diverse industry applications using optics from imaging to manufacturing.This will become a new super material at the heart of some of the most important innovations arising from the optics spaceLIG Nanowise build world leading white light microscopes which can break the optical diffraction limit using our patented Super-Resolution Microsphere Amplifying Lens (SMAL).The NANOPSIS M is a complete system tailored for the examination of materials samples from micro-fluidics and semi-conductors to graphene and other advanced 2D materials. Molecular Vista designs, develops, and provides tools that allow its customers to probe and understand matter at the molecular level through quantitative visualization. Its first product, VistaScope, provides a flexible hybrid atomic force microscopy (AFM) and optical spectroscopy platform for studying material & biological systems with chemical specificity with nanometer spatial resolution. VistaScope is equipped with patented photo-induced force microscopy (PiFM) where the photo-induced polarization of the sample is measured directly in the near-field by detecting the time-integrated force between the tip and the sample. Imaging infrared wavelengths specific to different chemical entities, PiFM can resolve the nanometer-scale distribution of each chemical species in diverse multi-phase and multi-component systems, thereby revealing an unprecedented and spectacular molecular vista to the researcher. The NanoScan Nanomechanical instrument series are innovative precision nanomechanical testers intended for the advanced characterization of surface topography, elastic modulus mapping and for measuring the mechanical properties (including nanoindentation,micro indentation, scratch, wear, hardness and elastic modulus) of bulk materials and thin films on a submicron and nanometer scale with true insitu imaging. Park Systems is a leading manufacturer of atomic force microscopy (AFM) systems with a complete range of products for researchers and industry engineers in biological science, materials research, semiconductor and storage industries. Park’s products are used by over 1000 institutions and corporations. Park’s AFM provides highest data accuracy, superior productivity, and lowest operating cost. Park Systems, Inc. is headquartered in Santa Clara, California with its global manufacturing, and R&D headquarters in Korea. Park’s products are sold and supported worldwide with regional headquarters in the US, Korea, Japan, and Singapore, and distribution partners throughout Europe, Asia, and America. Please visit www.parkafm.com for more information..
RAE Systems innovates, designs and manufacturers gas sensors and radiation detectors. The company offers a full line of fixed and portable gas detection solutions, including handheld and personal chemical, compound and radiation detection instruments. RAE Systems’ real-time safety and detection systems have been deployed by organizations in the oil and gas, fire and hazmat, industrial safety, national security and environmental markets, helping save lives and maintain safety in 120 countries. The company’s industry-leading gas sensors and radiation detection solution sare widely recognized for their performance and reliability. Learn more at raesystems.com. RESOLUTION Spectra Systems was set up in 2011 to develop an offer based on SWIFTS technology and advanced optical spectroscopy. Its founders are senior engineers, business managers and research scientists from high-technology companies and research laboratories from Grenoble in France. The company is also based in Meylan, one of Europe’s leading high-technology centers. Our innovative instruments based on the disruptive SWIFTS technology in the domain of optical instrumentation have unique features: an unprecedented combined level of integration and performances. Créé en 1991, SDEC France conçoit, fabrique et commercialise des équipements scientifiques de grande qualité pour la mesure de paramètres environnementaux dans les sols, les eaux et l'atmosphère.